â€œThey say if you can make a living doing what you love then you never have to work. This outpouring of praise is directed towards James Rice (1934-2004) and the outstanding list of children's books he wrote and illustrated. Widely acclaimed as the Southâ€™s leading illustrator of juvenile books, Rice lives through the more than 2.5 million books in print that feature his workâ€”a record that ranks him with top children's authors and illustrators nationally. Cajun Night Before ChristmasÂ®, Rice's first book, has been nationally recognized as a classic in its genre. Rice lent his talents to Pelican Publishing Company's The Night Before Christmas Series, which includes the tremendously popular An Irish Night Before Christmas, Redneck Night Before Christmas, and Gullah Night Before Christmas. 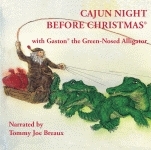 It was through Cajun Night Before ChristmasÂ® that Rice developed the character of GastonÂ® the Green-Nosed Alligator, who went on to have his own series of books. Several of Rice's other sixty books are set in his home state of Texas. Trail Drive is just one that both entertains and teaches children about cowboys and Western life. Rice was born on a farm in Coleman County, Texas, and resided in Hico, Texas. He graduated with a bachelor of fine arts from the University of Texas, a master of fine arts from Stephen F. Austin State University, and a master of arts from Howard Payne University. 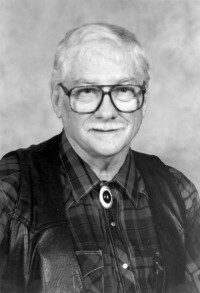 Rice taught art and music at both high school and college levels at such schools as Southeastern Louisiana State University, Louisiana State University, and Dallas Baptist College. When not working on new books, Rice visited schools throughout the country to teach children the joys of writing and illustrating. Gaston® the green-nosed alligator, the mischievous hero of Pelican’s famous Cajun Night Before Christmas®, leads young readers through the alphabet as he attempts to gain entrance to college. In the process, he gives them a clever and practical lesson in Cajun French. Now you can bid friends and family the fondest Joyeux Noël with these fanciful Christmas cards that depict the covers of Pelican’s best-selling Cajun Night Before Christmas® and Gaston® the Green-Nosed Alligator, as well as selections from the interiors of these two modern classics. Flying alligators, moss-draped cypress trees, and the beautiful bayou will add a distinctively Cajun flavor to your Christmas greetings. Cards. Cajun Columbus offers a slightly revised version of that historic venture, one in which a pivotal role is held by an intrepid Cajun named Pierre Lastrapes, whose descendents today inhabit the bayou country of South Louisiana. Pierre falls asleep in his pirogue and winds up in Spain, volunteering to use his navigational skills to lead Columbus and his hardy band of explorers across the “Atlantic Bayou” to the New World. Hardcover. Inspired by the spicy humor of Cajun Night Before Christmas®, Cajun Night After Christmas is the story of St. Nick, an alligator named Pierre, and the Boudreau family once the holiday is over. Boudreau’s children are hollering as they play with their new toys, his wife has spent all the money, and he needs to get away. This classic tale now becomes an ornament. A minature version of Cajun Night Before Christmas® suitable for hanging on any christmas tree. Hanger is provided! Ornament. Master storyteller Coleen Salley narrates two timeless family Christmas stories, capturing the unique sounds of the bayou. Storyteller Tommy Joe Breaux lends an authentic air to these classic tales. The first narration, Cajun Night Before Christmas®, takes the story of jolly St. Nicholas’s annual visit and places it in a Louisiana bayou setting. The next story, Gaston® the Green-Nosed Alligator, explains the fascinating events that precede Cajun Night Before Christmas®. Take the classic story of jolly old St. Nicklus, place it in a Louisiana bayou, dress Santa Claus in muskrat “from his head to his toes,” pile his skiff high with toys, and hitch it to eight friendly alligators. The result is a delightful twist on an old and familiar tale. It is Christmas on the bayou. Hardcover. St. Nicholas piles his skiff high with toys and hitches it to 8 flying alligators on the bayou. Boxed. It’s the night before Christmas in a tiny shack on the Louisiana bayou, and Santa Claus, with his eight friendly alligators and toy-laden skiff, is on his way. Written in lively Cajun accents, the best-selling Cajun Night Before Christmas® is a beloved holiday classic. With this delightful coloring book, children of all ages can put their own colorful spin on the story. Paperback. At the J-Bar Nothing Ranch on Christmas Eve, Patricia, Jason and their mother are waiting alone for their father to return from his drive. With an approaching Blizzard, they decide to go ahead and find a tree themselves, a scraggly mesquite branch that is not nearly as pretty as the cedar tree their father usually brings them. Hardcover. With imaginative illustrations and a shortened text, this all new version of the well-known Christmas story is sure to be a cherished addition to any Christmas collection. Adapting from Dickens’ own condensed version of A Christmas Carol, James Rice uses his unique style to create a beautiful new interpretation of the old favorite—a version which will undoubtedly become a classic in itself. Hardcover.